If you have just set up your first website then you are probably wondering how to have it ranked on Google. The process is not easy, and the task is long. If you try to get your website ranked on the first page of Google within the first few months then Google will punish you later on down the line (or within 2 months of you ranking highly if you are unlucky). Google do give a few passive tips on how a new starter can begin the journey, but this article builds on that to help you continue climbing up the search engine results page. They want all new starters to take part in the online community. They want you to comment on blogs, on articles, and talk in forums. You need to go a step further and start making online acquaintances. You need to start saying hello and chatting with people who can help your SEO. You are looking for people who you can share reciprocal SEO benefits with. For example, you can reciprocally "Like" each other's fan page. You can comment on each other’s blogs, or set up reciprocal links. Google search engine results (and Bing/Yahoo). When you are setting up your link campaign, do not make the mistake of linking to your home page. You need to link to different pages with each link. Uploading as many as ten articles with links per week may seem excessive, but if you have 80 pages, it is going to take you at least seven weeks before every page has at least one link pointing towards it. Plus, do not forget that some links will break and you will have to set up new links. This is not the XML. sitemap that you set up to submit to search engines. This is the sitemap that your users can see. 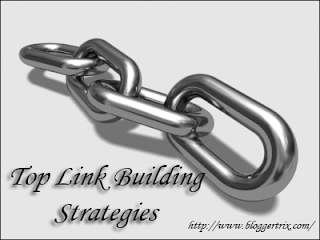 If you link to it at least once per week, then you are helping the search engines to crawl all of your linked pages. This is especially handy if you are adding new pages on a regular basis. It is also good if you are updating your pages frequently (as you should). Hire a writer to write you two very specific articles. These must be on a subject that isdear to the heart of your website users. You then need to find a few high Page Ranking blogs and submit your idea for a guest post to them. Hopefully you can negotiate to allow you to post your article(s) and link to your website. It is a good idea to have two written, just incase nobody wants to publish your first attempt (you will have a backup piece). Do a little research and find some high-ranking blogs that often accept submissions from guest posters. Link to a page that you would really like to see highly ranked, such as your home page, your favorite landing page, or a popular product page. Just make sure that the anchor text for the link, and the article you have written, has some sort of relation to the page you link to (e.g. an article on chicken welfare that links to your site that sells eggs, etc). Add a keyword or two into the article too, to give it a bit of extra kick. Written by Sonia Jackson from online tutoring service. write for bloggertrix, check our guest posting guidelines. Nice post, thanks you very much..
Hello Sonia, Sonya these are great and safe steps in building backlinks. I strongly support being active in communities. I long to read you next blog post. Well said,Guest blog posting and comment posting are good ways to get referral traffic. Well, blog commenting is one of easy way. Thanks for this great info for newbie like i am.